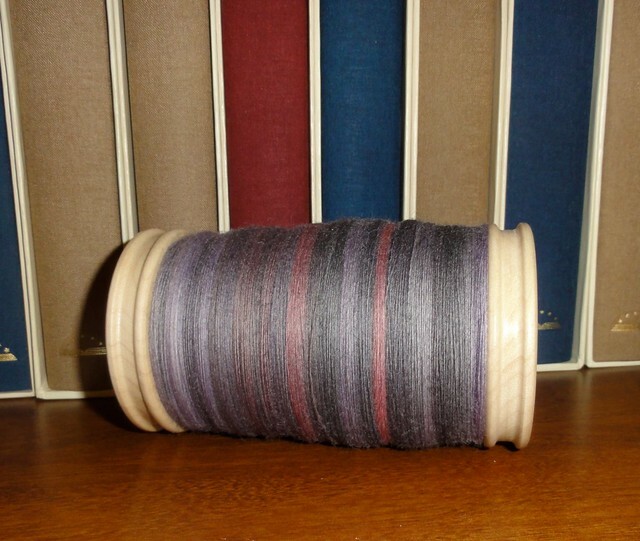 My Day 12 progress–a completed bobbin filled with 4 ounces of thinly spun Polwarth from Sunset Fibers in the Pink Elephant colorway. There are 4 more ounces to be spun on another bobbin, then the two will be plied together to form a nice, 2-ply lace-weight yarn. This entry was posted in Spinning and tagged hand spinning, handspun yarn, Polwarth, Sunset Fibers, Tour de Fleece. Bookmark the permalink.